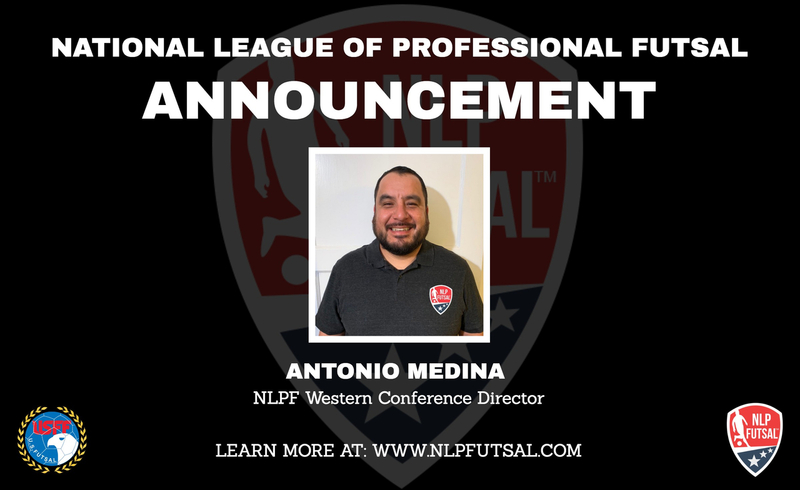 Washington, DC - December 23, 2019 | The National League of Professional Futsal (NLPF) is thrilled to welcome Antonio Medina to our front office staff as NLPF Western Conference Director. "We are excited to have Antonio join our team. He brings vast experience in Futsal national operations strategy, club management, and coaching. We are confident in his ability to expand the NLPF's reach with an emphasis on the regions within the Western Conference," said Danny Villagran, NLPF League Director. Antonio Medina has been heavily involved in the Futsal community since the early 1990's. Medina currently serves as president & founder of San Francisco Bay City Futsal and Bay City Soccer Club. Additionally, Medina leads the U14 Futsal National team as head coach, and most recently won U14 World Cup in Spain in 2017. He holds a dedication to creating unique Futsal experiences for the community with an emphasis on international exposure - taking teams to compete in Mexico, Argentina, and across Europe. Join us in welcoming Antonio Medina! The 2019 NLPF season is fast approaching. The schedule will be released in early January 2019 with competition beginning in mid-January. Here's to another thrilling season and continuing to build a thriving North American Futsal community. The NLPF is on the rise!